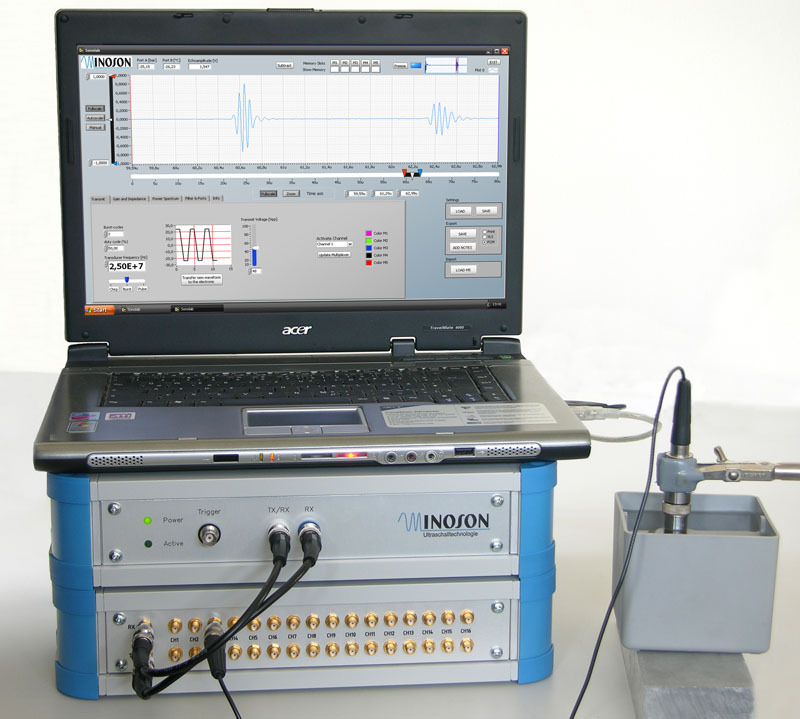 A test system with different components is necessary for the analysis of ultrasound waves. 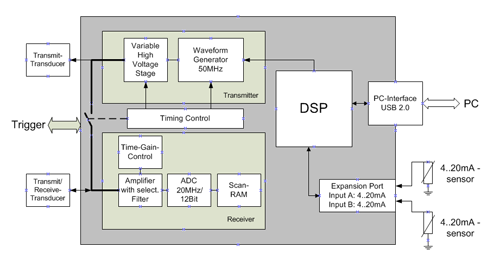 The PCM system unites in a device all hardware modules, as for example a variable, programmable waveform generator to the transmitter stage, an adjustable low noise amplifier with a digital signal processing. The application-related parameterization of the system permits a very quick initialization of the functional components and delivers all physical properties of the measuring construction to the user.